I’m a fan of lots of things that folks might label geeky, but it’s okay – I totally embrace my inner geek! Even if I get occasional eye rolls from the rest of the humans in my household. “Mom. You’re watching Lord of the Rings, again?” YES. I. AM. In the same vein, one of my latest obsessions is Game of Thrones on HBO, which I discovered a few years ago after hearing friends of mine sing its praises over and over and over. I binge-watched seasons 1 and 2, and then started watching real-time with season 3. The HBO series is an adaptation of George R. R. Martin’s book series, starting with A Game of Thrones, the first novel in the series A Song of Ice and Fire, first published in 1996. It’s an epic story about The Seven Kingdoms, with intricate and fascinating plots surrounding noble houses, in what feels like a medieval and magical era. Martin’s still working on finishing the book series, which he, admittedly, is in no hurry to do. More about the books, here. 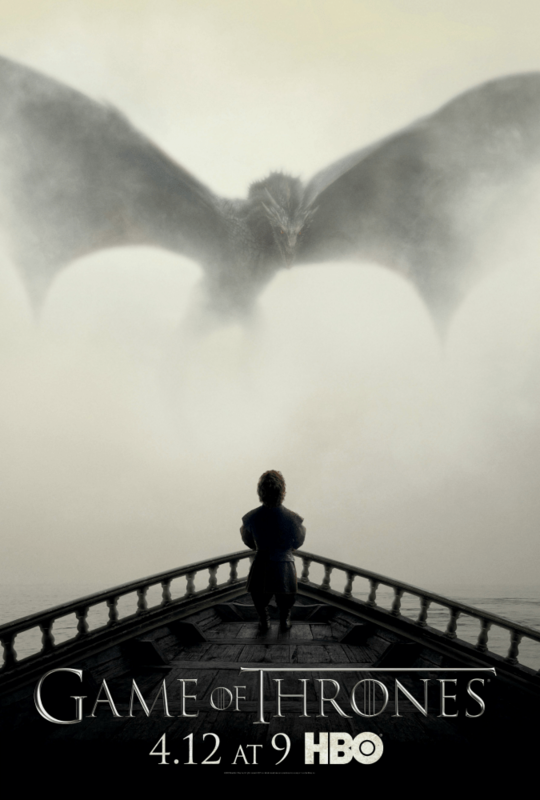 In the meantime, we have the Game of Thrones television show on HBO to whet our appetites. Some believe the show will actually finish before Martin completes the book series…an odd thought. Senior creators David Benioff and D.B. Weiss, along with writer/producer Bryan Cogman, have already taken liberties with the story line, leaving book readers a little puzzled, but also intrigued. Season 5 is more than half over now (boo!). Some might say the plot’s moving slowly this season, but I’ve actually enjoyed the character development and the pace. None of my girlfriends are into Game of Thrones. Not my close ones, anyway. Not even my sister, who I think would love the series. Jen, too – they both share the same infatuation enthusiasm for Hogwarts and Middle Earth. SO, instead I find my get my GoT fixes elsewhere! The Seven Kingdoms, dozens of noble families, unfamiliar places like Westeros and Kings Landing, Winterfell and The Wall, and so many different plot lines happening at the same time. The writing is terrific, and (reminiscent of Lost) even though I’m able to keep up with all the characters’ stories, there are still times where I’m left wondering, “Wait. Who is that, and how is he related to her? Didn’t he come from that family, and how come they’re talking about High Garden?” Hello, GoT Wiki. P.S. There’s also a GoT Wiki for the novels, too. I stumbled upon the Game of Owns podcast last fall. The season was finished for the year, and I was looking for something to listen to on my way to and from work. A few searches let me to this podcast, fondly referred to as simply “GOO.” If you listen to other similarly themed podcasts (MuggleCast, for example), you might hear a few familiar voices: Zack Luye, Micah Tannenbaum, and Eric Scull. These guys, along with guest hosts, spend the “on season” recapping episodes in detail on a weekly basis, digging into the developments, plot lines, and crazy turn of events. During the “off season” they read through the books, and then spend the podcasts dissecting them a few chapters at a time. Even though I haven’t read the books – yet! – I still thoroughly enjoy listening to them have book-club-style dialogue about the novels. I started back with their very first podcast and binge-listened through to 2014, almost finishing in time for season 5 on TV to get under way. SO. MUCH. FUN. Are you reading Jeremy Egner’s episode recaps each week online with The New York Times online? If not, you must. Brilliant. What’s a better resource than the network who brought us the on screen adaptation? Find ALL THE THINGS about Game of Thrones that you could ever want, including merchandise! HA! 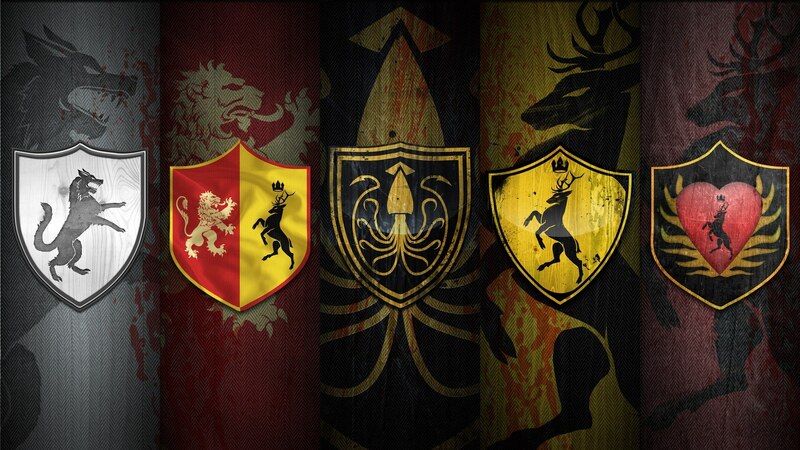 It’s hard to picture The Seven Kingdoms without a visual. We hear Cersei mention that Kings Landing is “a thousand miles away” from Winterfell, but how does the lay of the land really look? This interactive (but spoiler-free!) map can help. Looking to get sucked down a rabbit hole of fandom predictions, suspected story line direction, and obsessive plot dissection? Game of Thrones: A Reddit of Ice and Fire is for you! NOTE: It’s a year later and Season 6 (!!!) just began. I’m cautiously optimistic that Jeremy Egner will continue his recaps, but for now I don’t see any…fingers crossed. I have read all of the books and have been pleasantly surprised with how well they have done it. Aside from a couple of minor quibbles I have been very pleased. Jack – LOVE that scene, too! I will read the books one day, for sure.